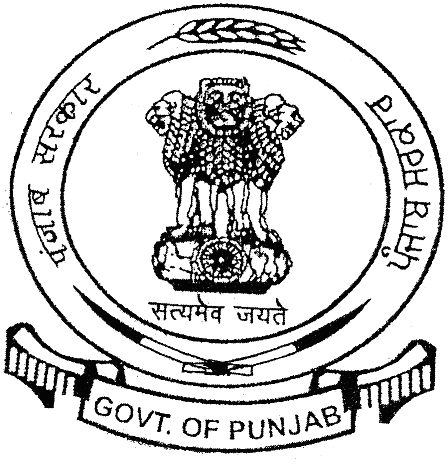 Punjab Land Records Society is a society established (under Registration of Societies Act, 1860) by the Government of Punjab to formulate strategies, polices, plans and to assist the State Government and Government of India in the effort to provide efficient and prompt services in the public matters. relating to land and revenue, through the use of Information Technology and its related fields. The primary objective of the Punjab Land Records Society (PLRS) is to oversee, monitor the implementation of computerization and digitization of Land Records and related documents in Punjab for the overall benefit of the citizens and to provide Land Records related services through multiple common access infrastructeres like Sukhmani Centres to the public. This Society is a State level body being constituted specifically to mange the Land Records in all its dimensions and would work under the overall policy framework of Punjab State E- Governance Society (PSEGS). The head office of the society is located in the office of the Director of Land Records, Punjab, Kapurthala Road, Jalandhar City, Punjab, India.